Older residents needed nutrition and socializing. Partner with a local restaurant that caters to the culture and also delivers meals to homebound seniors. There isn’t much in Piru, Calif. The small, rural town in eastern Ventura County is marked by low incomes, few choices and a significant population of older residents, many of whom live alone. There’s not a grocery store or transportation to get them to the next town. Although Ventura County operates its senior nutrition program throughout the region, it’s never quite like in Piru. It all combines to create a vibrant social scene at a local Mexican restaurant. Brenda’s Casamia and Catering, a small restaurant on Piru’s main drag, is now the gathering place for older residents to get both the nutrition they need and the companionship they crave. Sitting down for a daily meal with others eases their isolation and helps build a community, while offering a nutritious dish. Many Piru residents earn less then 60 percent of the state’s median household income, and 40 percent of clients served by the county’s area agency on aging exhibited symptoms of high nutritional risk, with many saying they don’t have the money to buy nutritional food. A quarter said they eat alone for most meals. Ventura County had a previous partner for its nutrition program, but it wasn’t cutting it, so Brenda’s came on board, and things improved dramatically. Brenda’s offered both a comfortable place to spend time and nutritious meals that were culturally welcoming to a population where nearly 70 percent did not speak English. The congregate meal component that Brenda’s offers is crucial. “It’s an opportunity to provide nutritionally balanced meals but also a social environment, they’re getting the social aspect and for some of them, that’s all of the socialization they get and also sometimes the only nutritional meal they get,” Jauregui said. “The beauty of all of this is that it goes beyond the numbers,” she said. “The numbers themselves are very telling, but what you have is this very small community that has these restaurant owners, there aren’t many in the community. The family who owns the restaurant is incredibly invested in the community of Piru.” That shows when the Brenda’s staff makes house calls, dropping off meals to homebound seniors. A crucial aspect to the partnership is that Brenda’s serves nutritional food that fits the culture of most clients. The county’s dieticians evaluate each meal to approve them for the program, but rather than offering nutritious but foreign foods, Brenda’s speaks their language, with dishes they like. “It’s a healthy meal but something that brings them comfort, culturally,” Jauregui said. Brenda’s is reimbursed $6.75 for each meal from the Older Americans Act, which provides funding for congregate meals and home delivery. The county contributes $7,400 annually for mileage reimbursements for meal deliveries, assessments and administrative costs. 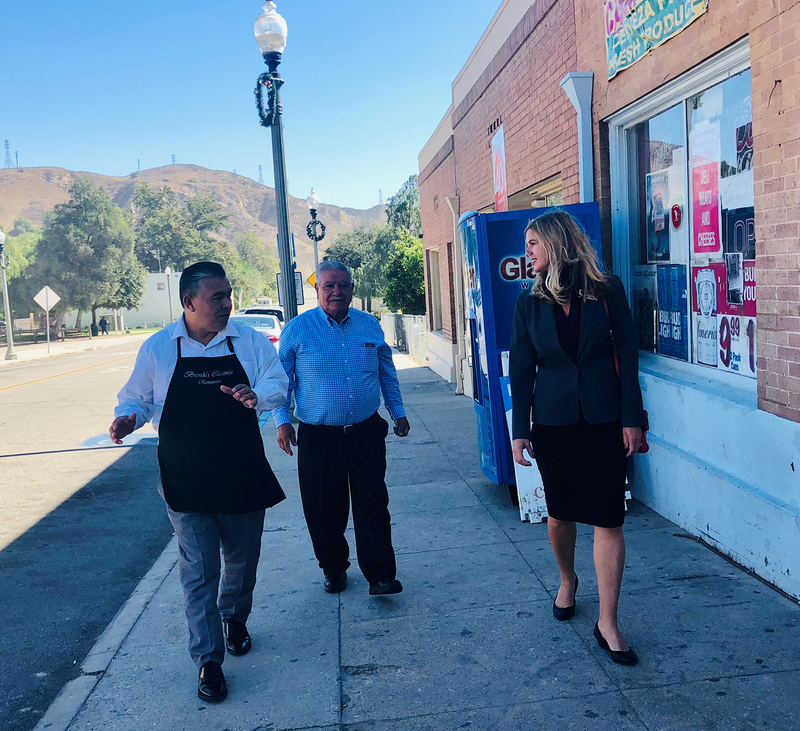 Since Ventura County started working for Brenda’s for its senior nutrition program in Piru, that community has seen a 63 percent increase in home-delivered meal services and a 55 percent increase in congregate meal services.